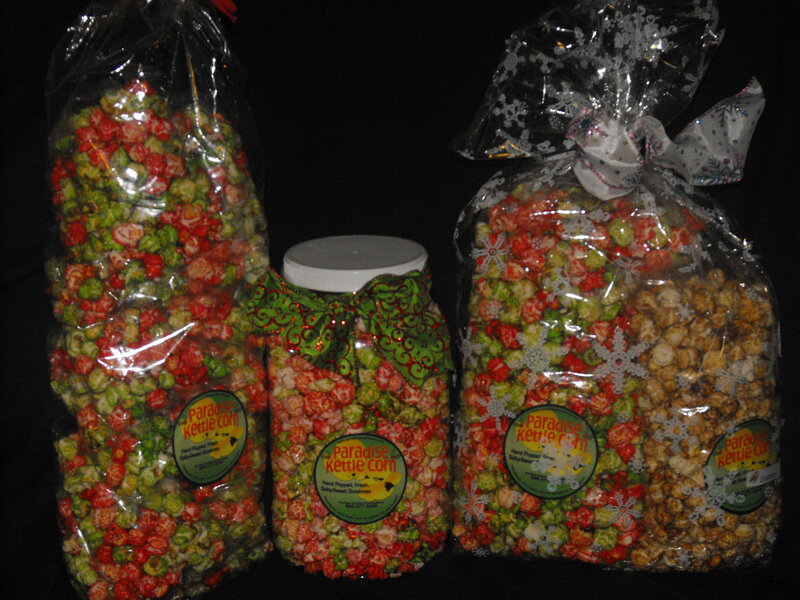 Wondering what tasty goodie to give this Holiday Season…choose our bright salty-sweet hand popped kettle corn. We are offering our small, large and “mini” bags, as well as a gift jar in our jolly and bright christmas colors. The mini bags are still on special for $10 per dozen. The gift jar is $12 and will be available at our December events. We are most excited about our “NEW” Flavor! GINGERBREAD! This flavor is available now and will be available at all our events throughout the Holiday Season. We are offering a bundle special, large original and small gingerbread for $10, perfect for the office grab bag or family gift. Please come by and try our new flavor at one of our events. From our family to yours, Happy Thanksgiving! and Merry Christmas! love Paradise Kettle Corn.